In a world where everyone is a "nutrition enthusiast", many children are missing out on a plethora of good food and nutrition. I have always avoided extremes, especially when it comes to my kids. I aim to make my home a healthy environment that includes both nourishing foods and play foods. My only goal is that my children learn to love and respect all food and what it does for their bodies. I want them to try all cuisines and flavors. I'm aiming to raise "foodies" over "health nuts". I don't "hide" food (although there was a time when my oldest was a toddler, oh brother). We should be honest with them and let them learn to love vegetables prepared in various ways. Dinnertime is sacred. Connection is our priamry goal, not a food war. While these are pretty standard guidelines for all my children, each one is very unique and I have found that I need to treat their differences the best way I can. The "Cool" Kid: This kid wants to be apart of everything. If most of the kids are eating school lunch, it's embarrassing to bring a lunch his mom made. If the kids in the neighborhood are riding their bikes to 7-11 for a slurpee and you say, "no" - his life is over. He will turn down lunch you made for him and go eat pizza at the neighbors. He's not picky, just defiant. What to do: Don't deprive. Let him be a kid. Teach him. My son really loves to learn. I try to be upfront and honest. As an active kid I try to incorporate conversations about food before and after a game or practice. I also try to teach him that he doesn't have to do what everyone else does. I do my best to provide autonomy and allow him to discover what he loves to eat: spicy enchiladas, coconut shrimp, Indian food, and sushi are a few of his favorites. The Eater: This kid loves all food. This kid is also a "people pleaser". She will tell me how good something is with profound exaggeration. She loves anything from Cheetos to salad. At social gatherings, she basically wont stop eating. She wants to try everything! She is non-stop all day long and subsequently hungry all day long. Sometimes I feel like she eats when she is bored. She gets really excited about food. What to do: All kids need to find an activity that they love and builds their confidence. Often, that goes along with a kids who loves to eat. Help her find movement that brings her joy and keep her moving. Set specific meal and snack times. Don't demonize or idolize any food. Teach her that all foods fit. Talk about hunger and fullness cues, but never talk about her body. Her body is a gift and it needs food to feel well. 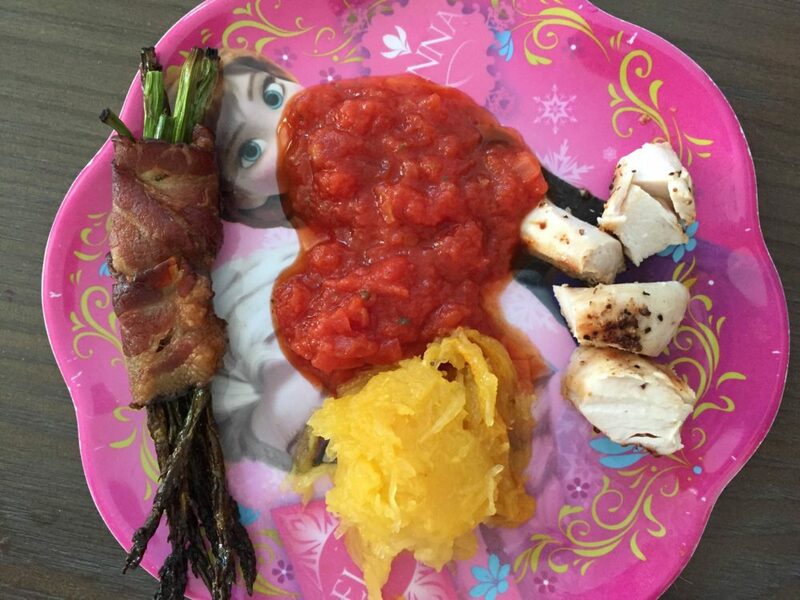 So Picky (and makes you want to jam a pencil in your eyeball): This kid is fearful to try new foods. Anything green scares her. She loves the word "no" and will throw a major tantrum when you say, "its dinner time!" She doesn't eat much and takes tiny bites. Even yummy treats are very rarely finished. If I let her, she would just eat macaroni and cheese every single day. What to do: This is the most difficult one for me, because it requires so much patience for just about every meal. In my case, she has High Functioning Autism. So, there is a legitimate reason for her fears. For breakfast and lunch I give her options, allowing her to have "control" and choose. Sometimes, she will pick three things (and only take a few bites of each) and that's just fine with me. Some days, she eats like a champ and I let her know it! She LOVES Mac and Cheese and I know she will eat it, but I refuse to let her rule me there. Sometimes, I will leave it off the menu choices at a restaurant. She actually doesn't like to dip all the time, but that can be a wonderful tool. When she won't try a new food I break it down. First touch it. Then, put it in your hand. Give it a kiss. Lick it. Put it in your mouth, but don't chew it. Many times I will say, "just try it and if you don't like it you can spit it out." It gets VERY exciting when she tries something and decides she likes it. If we go out to eat and she does order M&C or a quesadilla I always try to get her to have some veggies with it, even if its just salsa. But, pressure is never the answer. Food freedom wins. What to do: Babies are innate Intuitive Eaters, don't mess with them! Once a baby is six months old they can start on real food. Soft vegetables are my first choice. Avocados require no work, just slice and spoon. Sweet potatoes or beets can be roasted and then mashed with a fork. If you want to puree, cook up a batch and then freeze in ice cube trays. But, progress rapidly, getting them thicker and thicker so that baby can learn to move the food around her mouth with her tongue and start the chomping motion. Put small bites of food on her tray and let her get that pincer grasp in action. Instead of pureeing, just chop up the cooked food. As they get older and more coordinated, give them bigger pieces. They will gag and somewhat choke, but THEY ARE LEARNING TO EAT. Let them make messes! I am on my hands and knees three times a day cleaning up the floor under her high chair and its 100% worth it to me. There is NO reason for your child to be on purees by 10-12 months. By 8-9 months my babies are eating absolutely everything.